April 15th is almost here. That means Americans have less than a week to prepare their personal income taxes and send them off to the IRS. If your busy schedule has kept you otherwise occupied, you may now be in a panic to get your taxes done and sent off to the government before the deadline. A lot of people are scared of taxes, but there’s no need to fear your personal income taxes. With the right information and possible support from a network of professionals – including accountants and financial planners – you can get your taxes in order and filed on time. 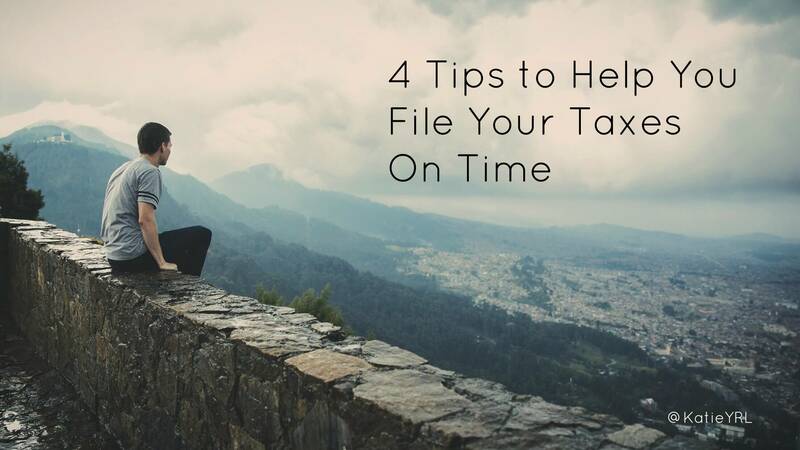 An efficient way to make sure your taxes are received on time is to file your taxes online. eFiling eliminates mailing delays as well as safeguards against any chance your personal information could get lost in the mail. eFiling can be used if you file your own taxes or if an accountant is filing on your behalf. Business owners and individuals alike can use eFiling to submit their annual taxes to the IRS. Companies such as TaxACT and H&R Block offer online services, and most accountants can e-file for you. If April 15th is coming too quickly and you don’t think your taxes will be ready on time, you can request an extension from the IRS. Filing Federal Tax Form 4868 gives you an automatic six month extension to file your taxes. The form has to be sent before the regular filing deadline (April 15th), otherwise your taxes will be considered late and penalties may apply. If you have a tax payment installment (especially business owners), it’s important to note that it’s still due by April 15th even if you’ve requested a filing deadline. Sometimes shelling out a little bit of cash for professional advice is worth the cost. This is especially true when it comes to seeking the advice of a tax professional. Accountants and enrolled agents know all the tricks of trade and they can help fine tune your tax return to make sure you get the maximum refund possible. I believe that paying a professional is all about the opportunity cost. If you’re on the fence about hiring an accountant, ask yourself if the price you’ll pay is worth the benefit you’ll receive. When it comes to filing your taxes – especially if they are complicated – accountant fees can definitely be worth the cost. If your taxes are straight-forward, you may be able to do them yourself with the help of a step by step guide from the IRS. All you have to do is visit the File Free section of the IRS website and follow the easy directions. The filing kits are complete with free forms that can be filled out directly online as well as specific tips and how tos based on your personal annual income i.e. above or below $60,000. These free services are available for federal income taxes only; there are additional costs for state filing. At Your Richest Life, Katie Brewer, CFP® and fee-only financial planner, believes everyone should have access to financial resources and coaching. For more information on the services offered, contact Katie today.